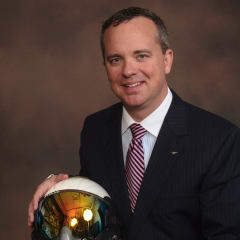 A top US Navy elite fighter pilot and globally renowned safety expert will be revealing how his “human error management tools” have impacted significantly on safety performances at Top 100 Companies and what the oil and gas industry can learn from them. Jack Becker will be delivering a keynote speech at this year’s OPITO Global – The Safety & Competence Conference on 7th November at the InterContinental in Kuala Lumpur, Malaysia. In line with this year’s theme ‘Skilled for Safety’, he will also discuss his experience of being a pilot in charge of flying $85million, F/A 18 Super Hornets. As a combat decorated fighter pilot, and still part of the US Navy’s reserves, Becker spent 13 years in active duty as an elite pilot with the dual role of instructor pilot, and as a prestigious landing signal officer position (LSO) where he supported over 21,000 safe aircraft carrier landings during his military career. He was also instrumental in incorporating a crew resource management (CRM) system into the navy’s processes to help pilots to land safely. His company, Flight Level Solutions, utilises his ‘'Brief, Perform, Debrief, Perfect' approach to help reduce risk. Within all seven regions of GE Power and Water alone, his programme reduced Occupational Safety & Health Administration recordable mishaps in the US by over 60%. Free to attend and open for registration, more than 400 delegates and 20 exhibitors are expected at this year’s OPITO Global event. It is the only international conference focused on safety and competency in the energy sector, bringing together industry leaders, government bodies, regulators and training providers to share new thinking and best practice. This year’s headline sponsor has been confirmed as Falck Safety Services. Becker said: “When working in extreme environments it is absolutely vital people can speak about any errors without fear of reprisal. By creating an open culture, companies can ensure the whole team has the opportunity to learn, reducing the risk of repeating the same mistake and its consequences. Becker joins ‘Miracle on the Hudson’ First Officer, Jeff Skiles in the event’s line up. Skiles, who will be presenting during the morning session, is noted for being the co-pilot who helped safely land a stricken passenger flight on New York’s Hudson River in 2009 with 155 people on board. Last year’s OPITO Global event saw attendees travel from the UK, US, the Middle East, Europe and Asia Pacific to take part. The 2018 revamped format offers an additional technical forum available on the 8th November as an optional subsequent day session. It is expected that around 150 delegates from OPITO’s global network of approved training companies, as well as industry practitioners, will attend the technical forum to delve deeper into the details of delivering the high quality of standards that OPITO sets for the sector around the world. Information about sponsorship opportunities is available online. The launch video can be viewed here.